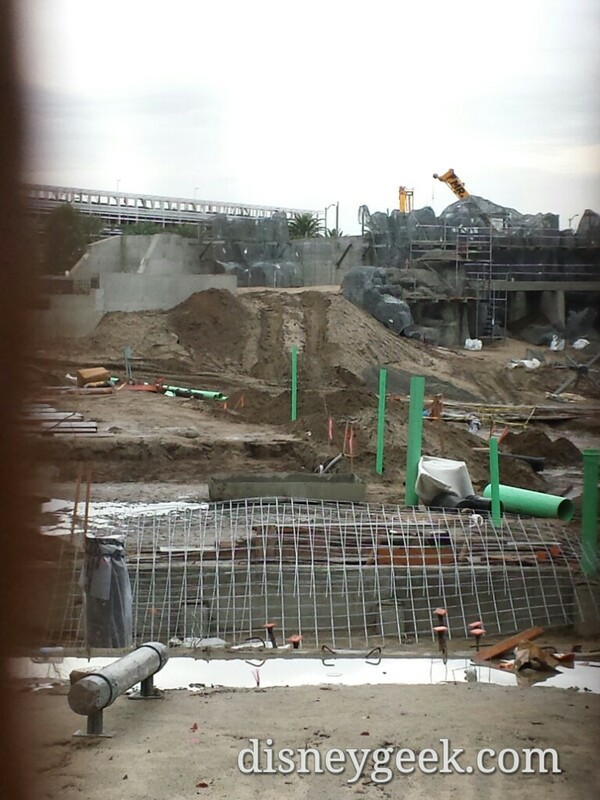 A look across the site starting on the left/north side. 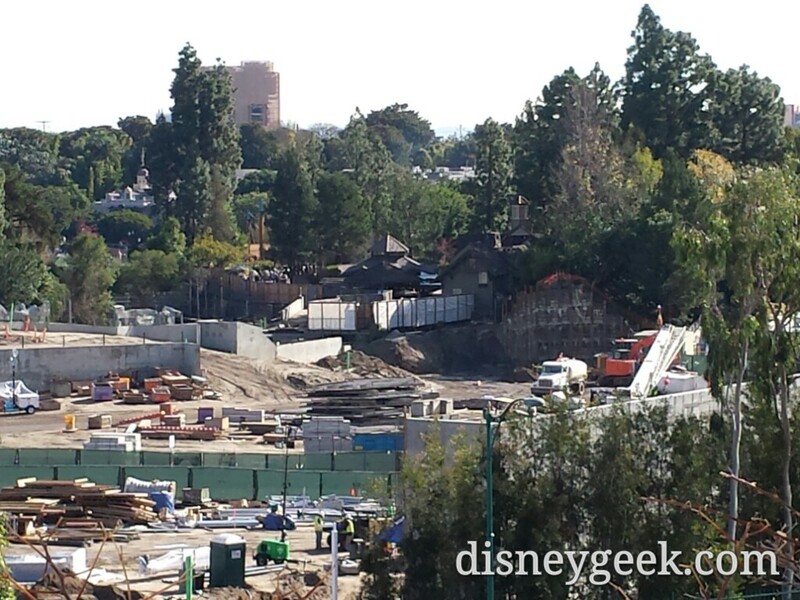 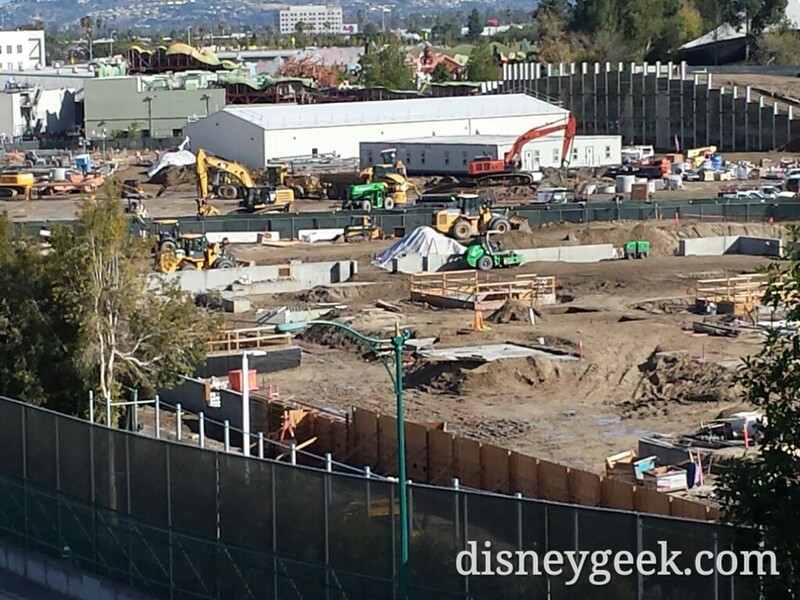 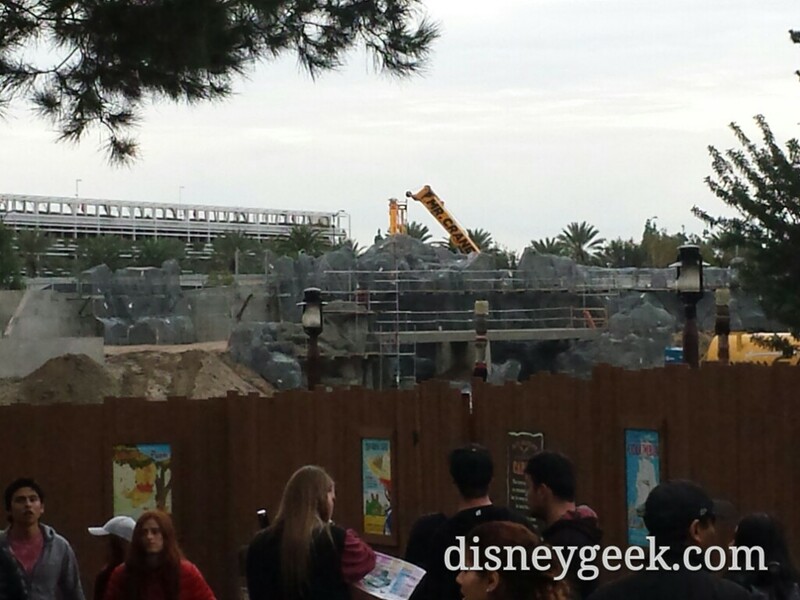 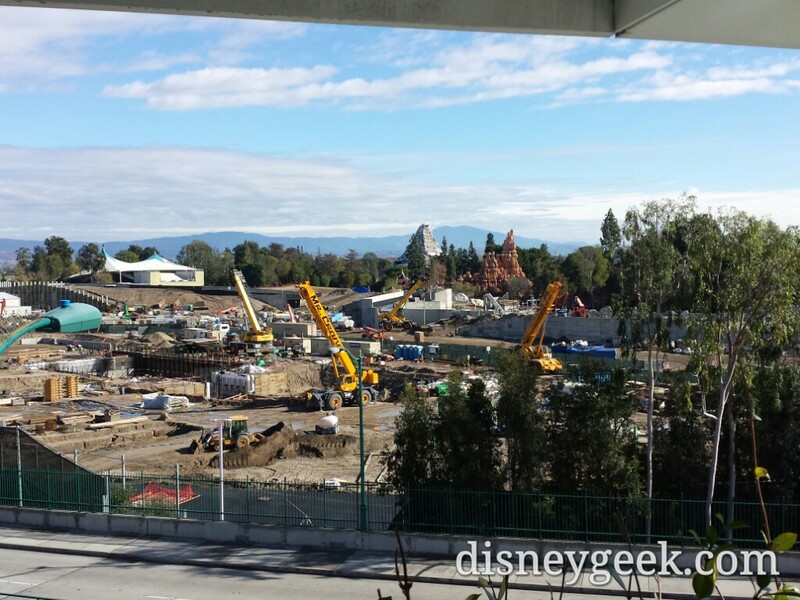 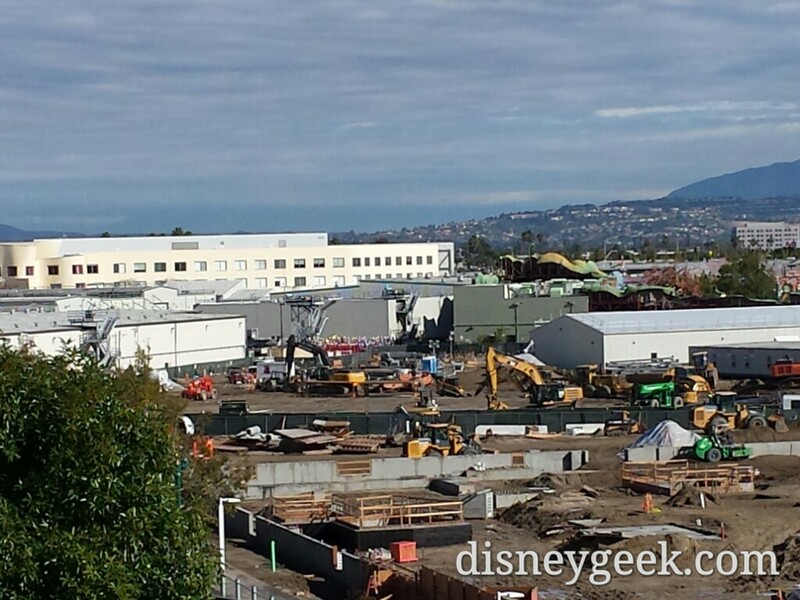 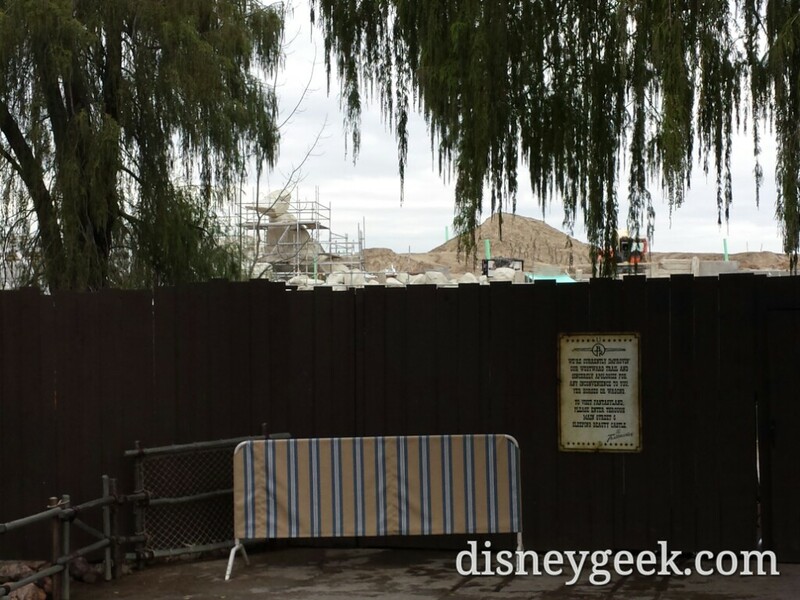 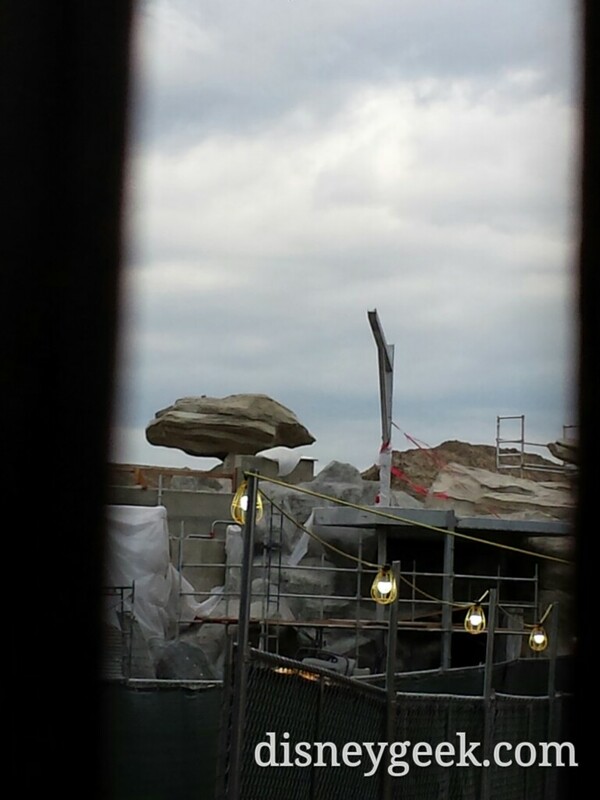 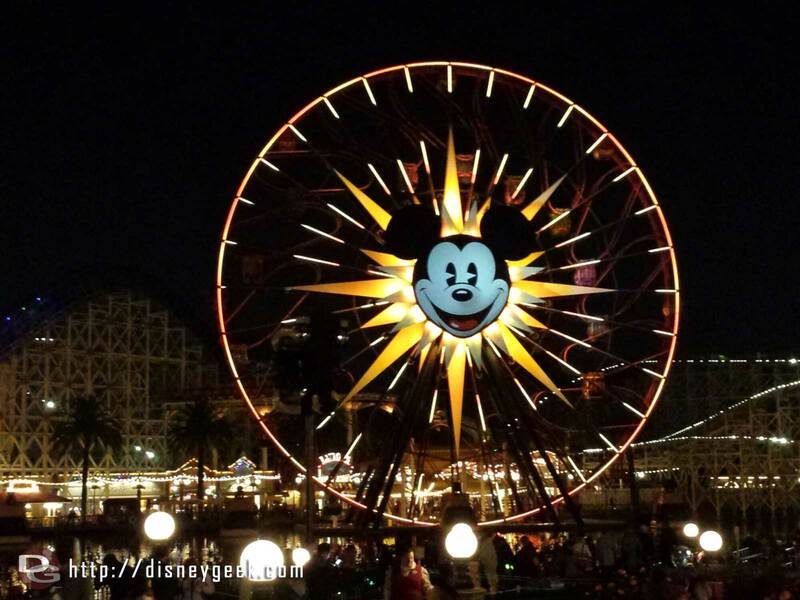 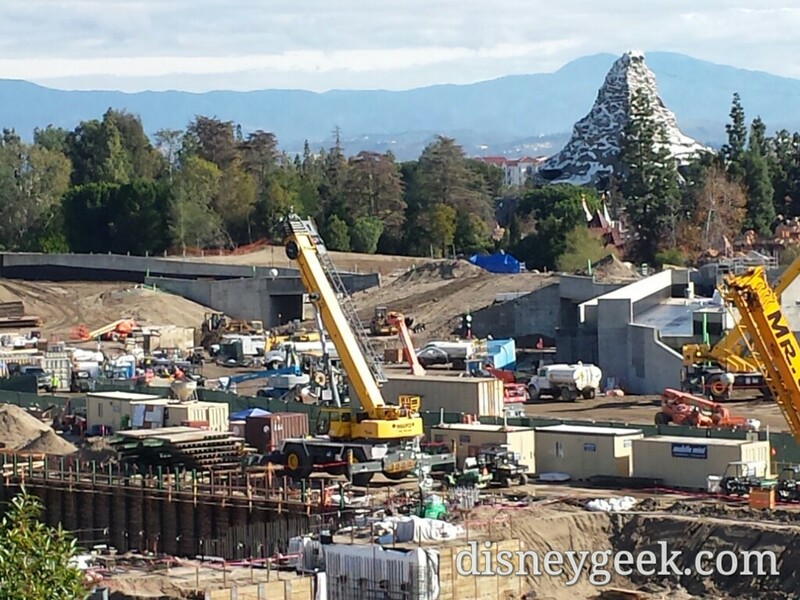 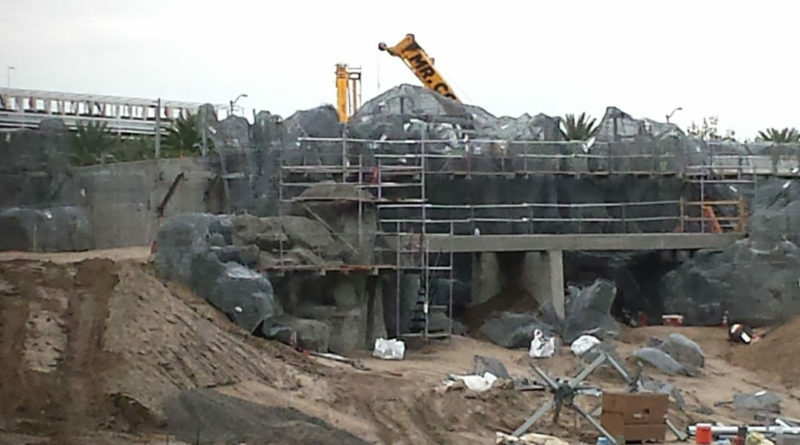 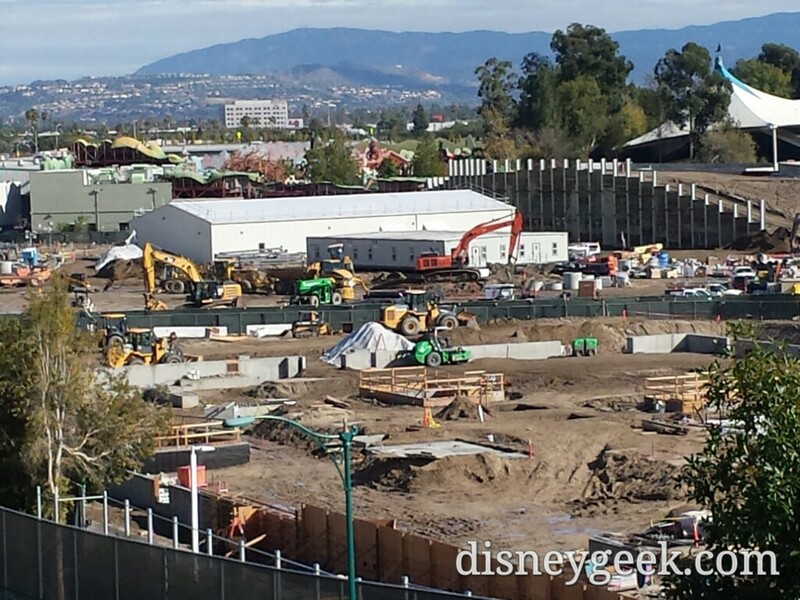 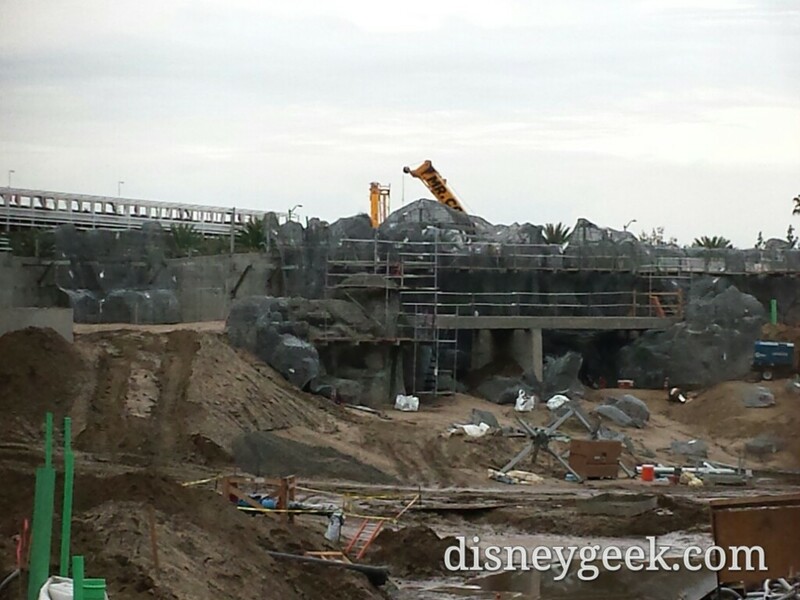 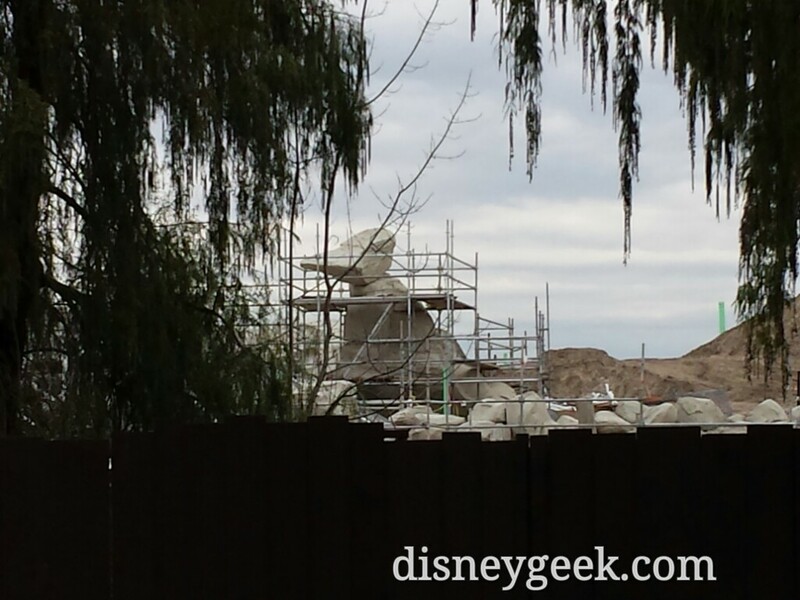 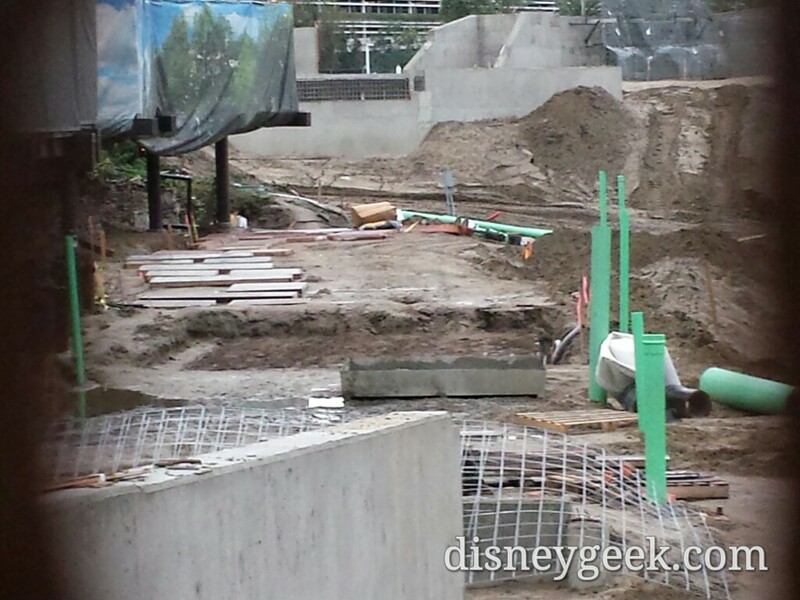 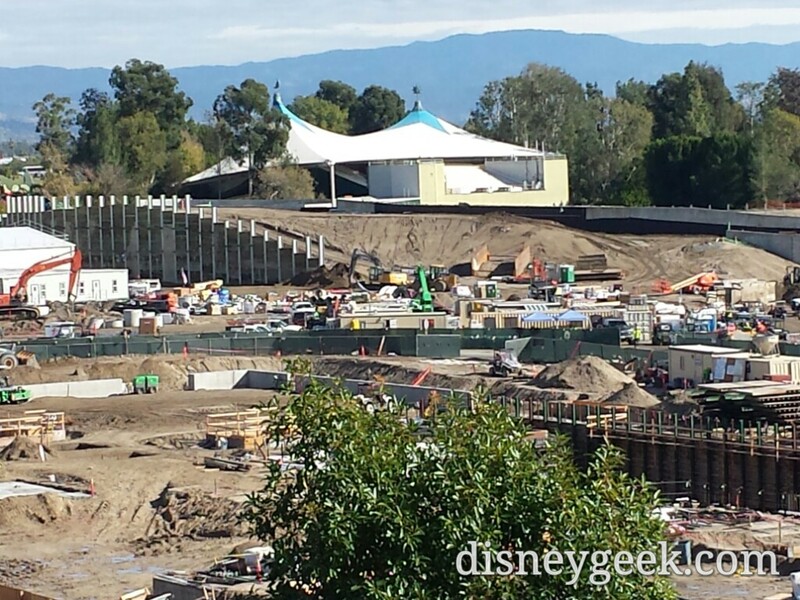 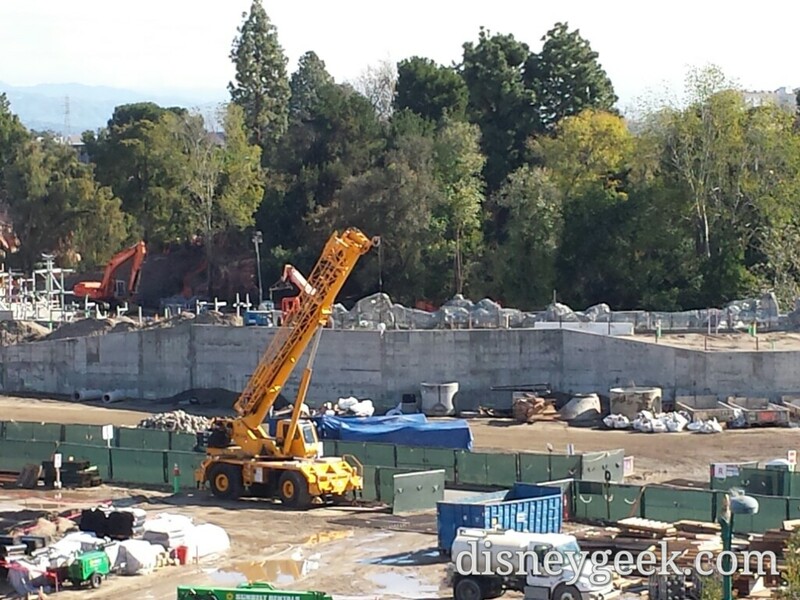 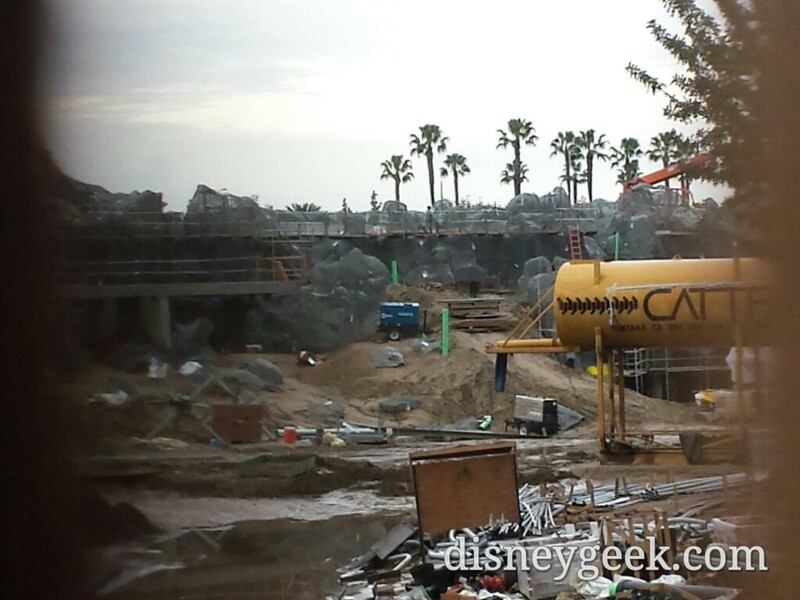 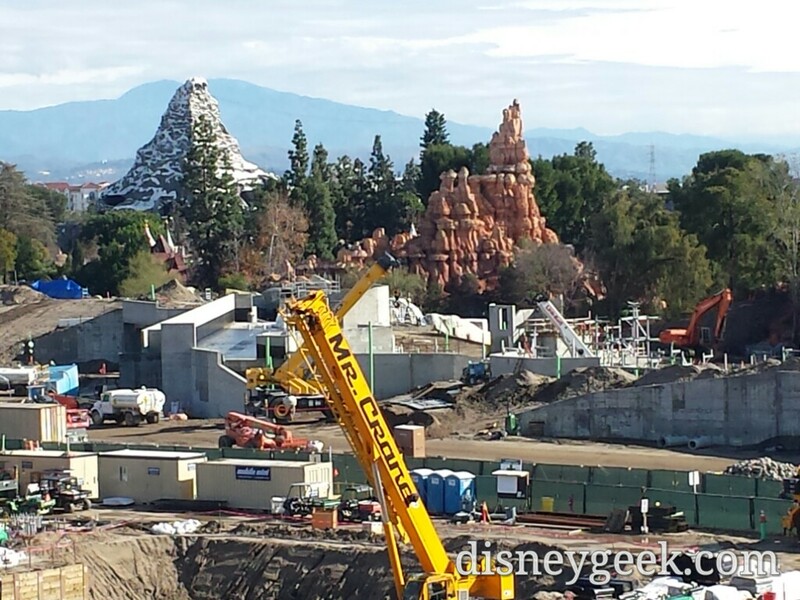 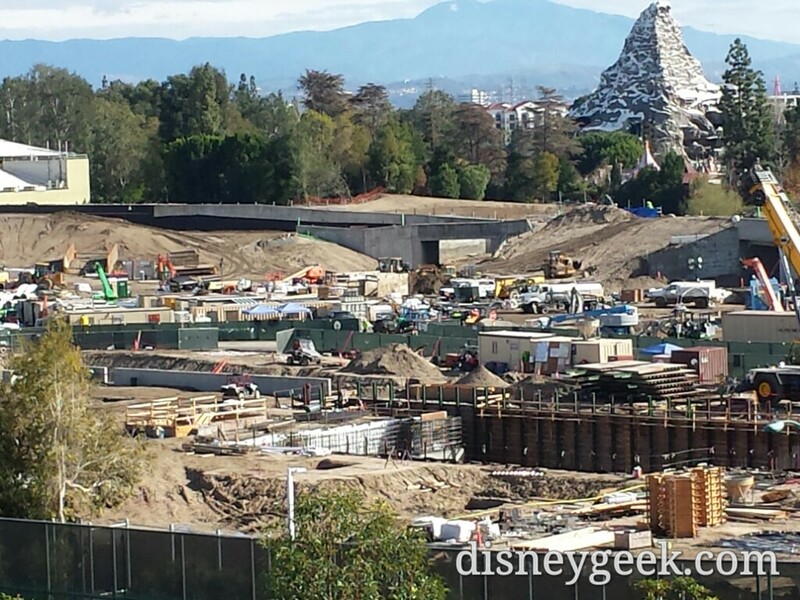 In the background the entrance tunnel from Fantasyland in the foreground foundation work for a show building. 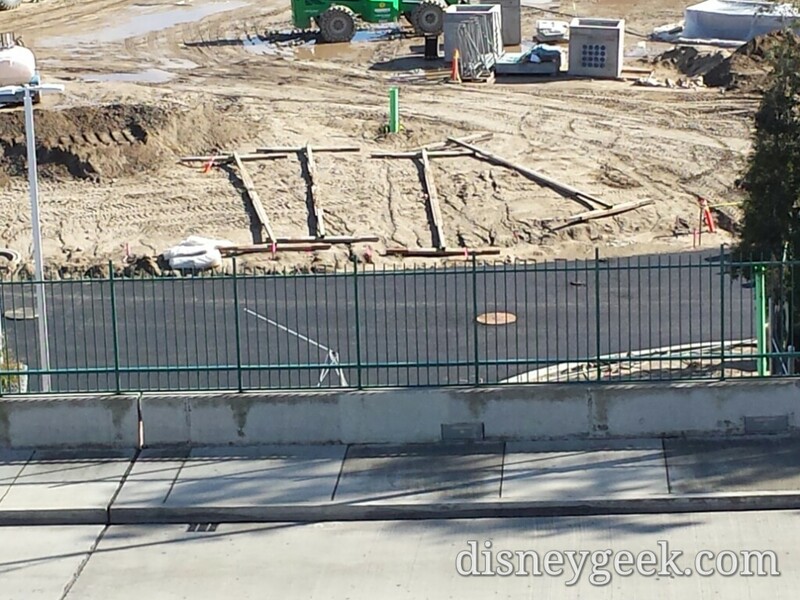 Asphalt has been laid on the new perimeter road.